Our Harry Potter Planner Set is a dream come true for J. K. Rowling's biggest fans. There is so much here to love, from beloved characters to references to everyone's favorite school- Hogwarts! This planner set will make planning your everyday life absolutely magical. Harry Potter rules! The item shipped quickly and was packaged well. My only problem with my item was the back cover of the planner was put on upside down and it too big of a pain to fix, it was disappointing. I love my planner! The shop is also great, they help you with whatever you may need! Absolutely perfect! 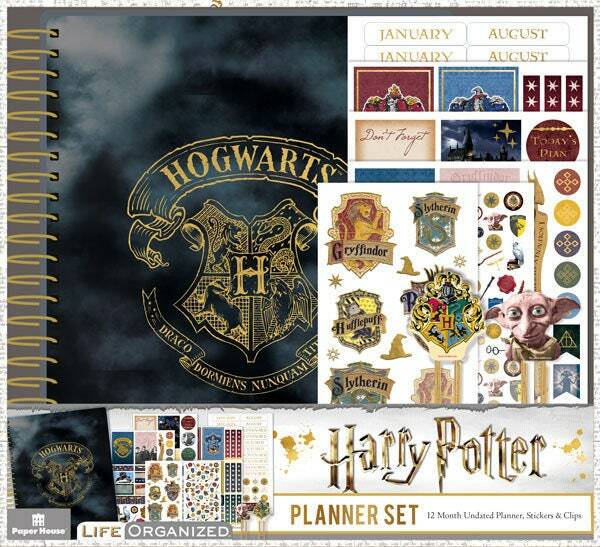 If you are a planner addict and a HP fan, this is a must-have! It came nicely packaged in mail and arrived on time (before the estimated date, I might add) There is nothing I can say negative about this item. It came as described (better than described IMO). Love, love, love. Would DEFINITELY recommend. Can't wait for 2019 so I can put this beauty to work! Any diehard HP fan would love it.